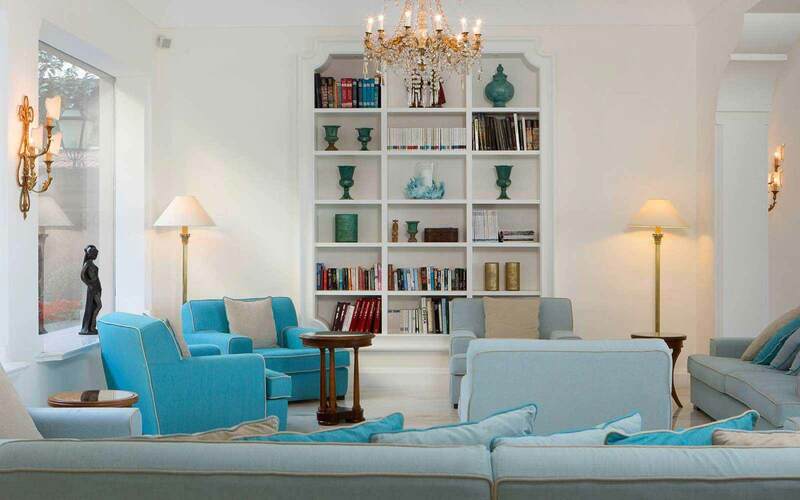 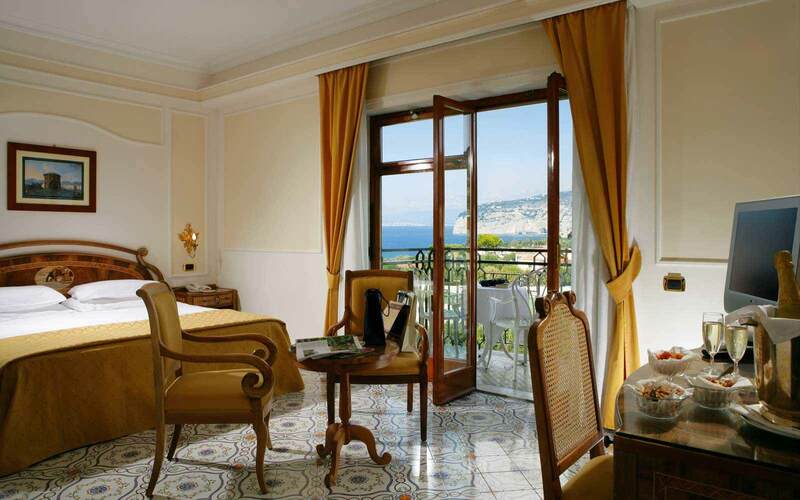 Only a few minute walk from the historic centre of Sorrento, Grand Hotel de la Ville is a tranquil retreat from which to escape the hustle and bustle of the city life. 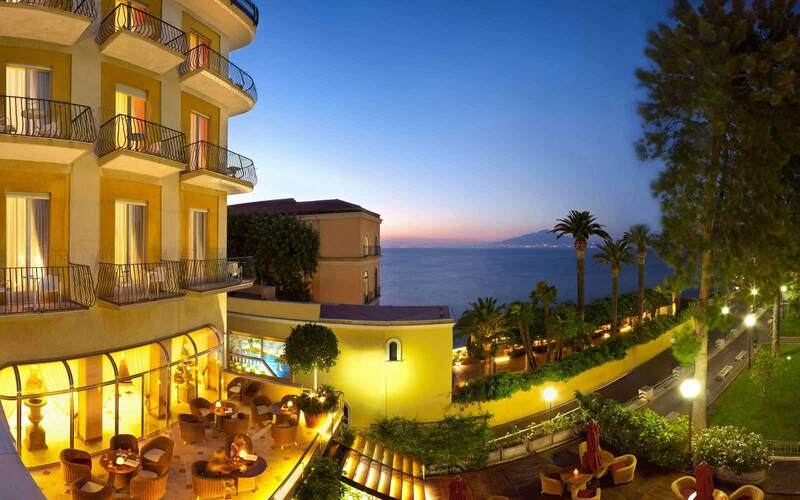 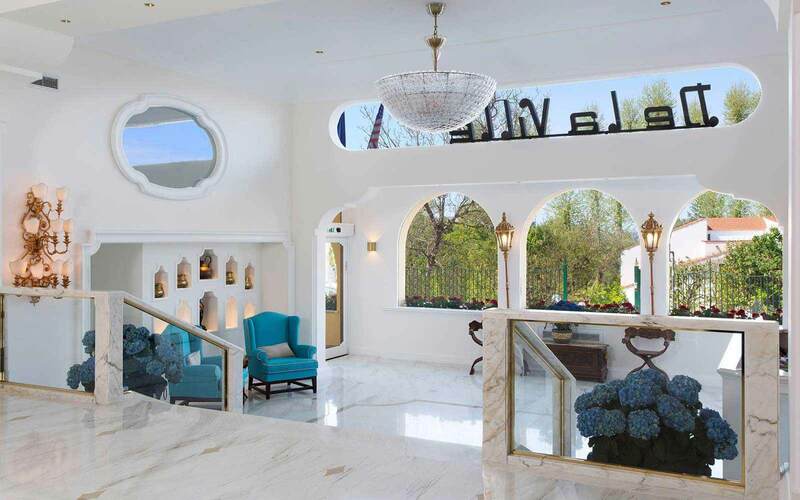 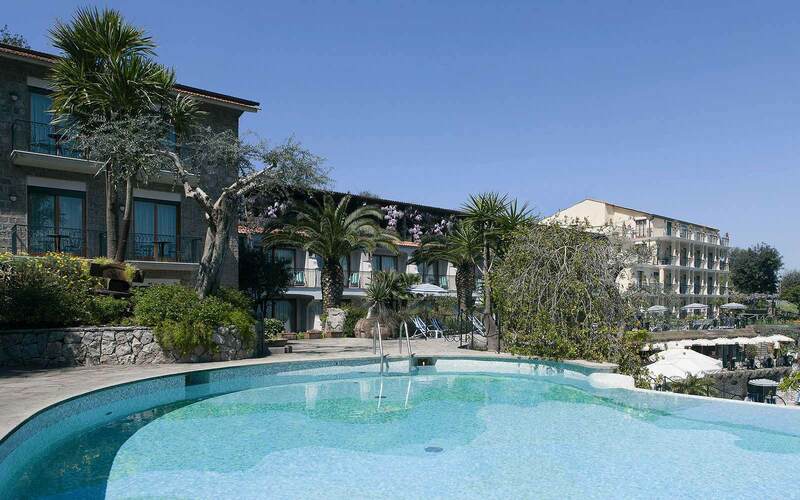 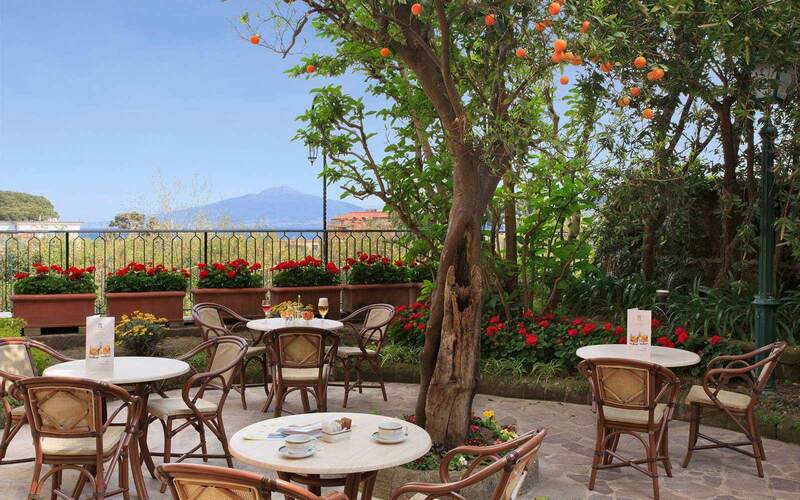 This elegant 4 star hotel is set in a residential area, opposite a lime grove, and offers great views over the Gulf of Naples and the Vesuvius. 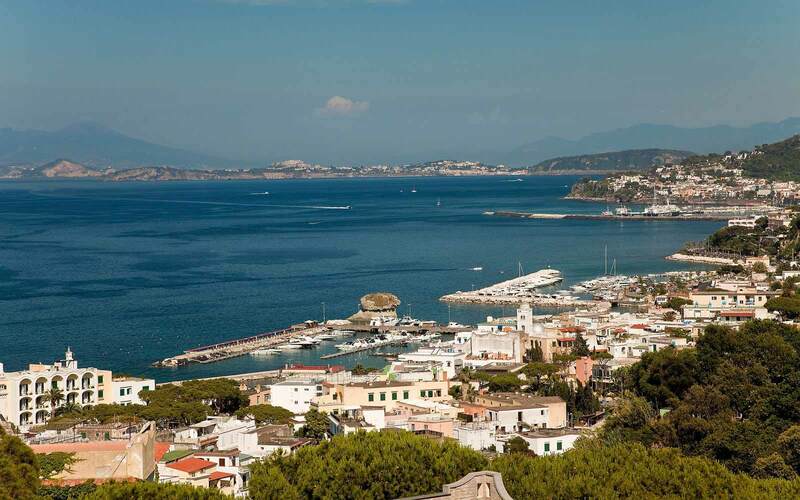 It is the perfect base from which to explore the many attractions Sorrento has to offer, but also take on day trips to Capri, the ancient ruins of Pompei or walks up Mount Vesuvius. 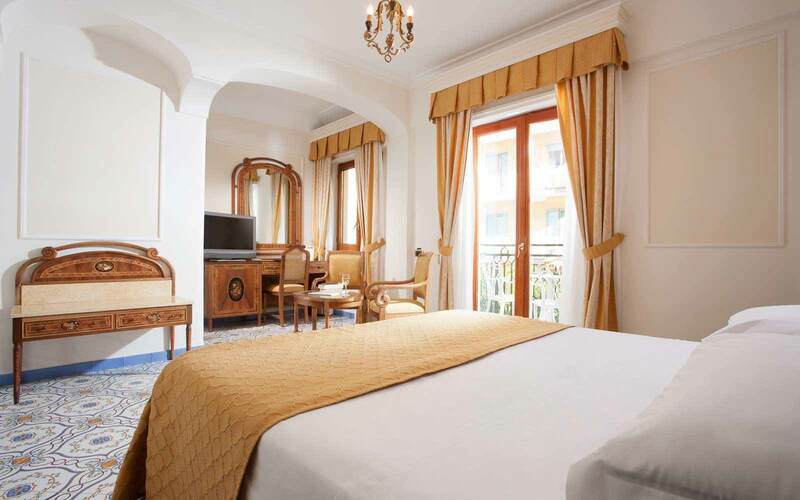 Grand Hotel de la Ville boasts elegant marble floors and a selection of beautifully handcrafted wooden furniture, representing perfectly the rich heritage of craftsmanship present in the area. 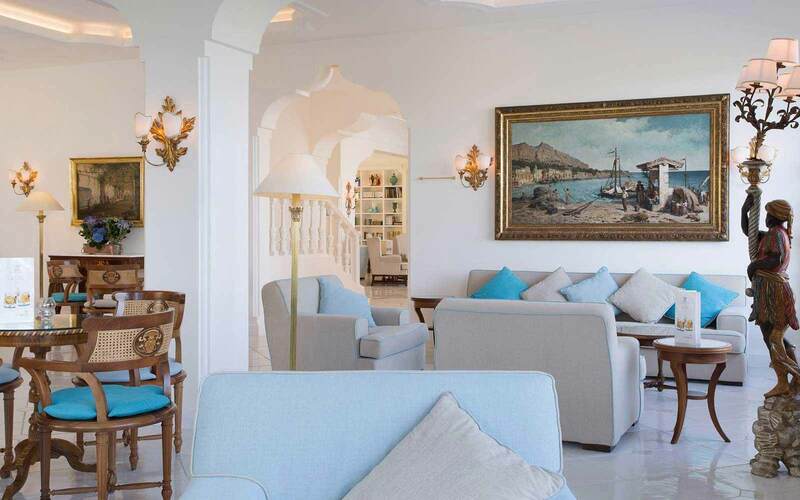 Despite its grand appearances, the hotel remains a humble property and welcomes guests in a warm, friendly and relaxed atmosphere. 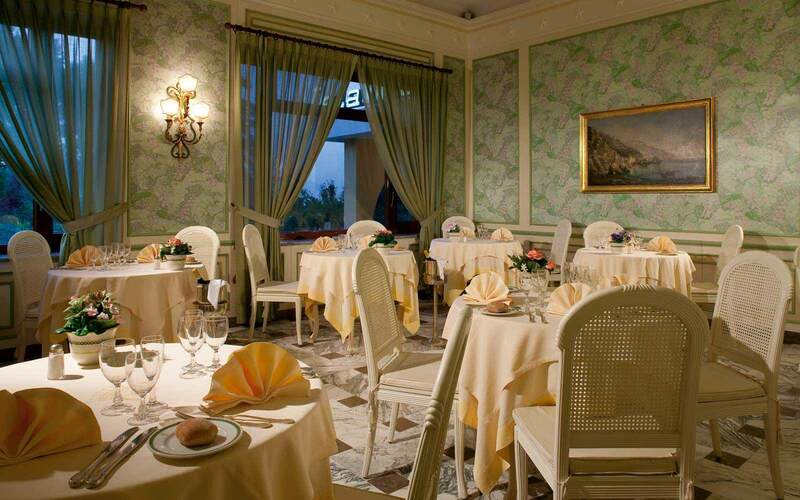 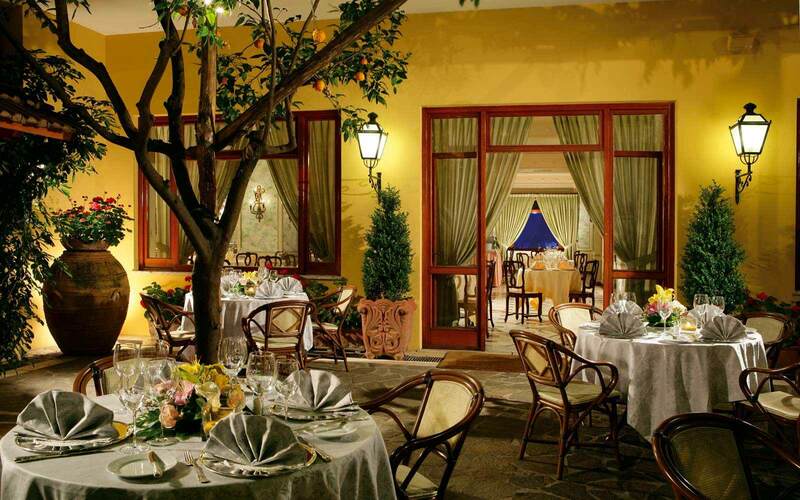 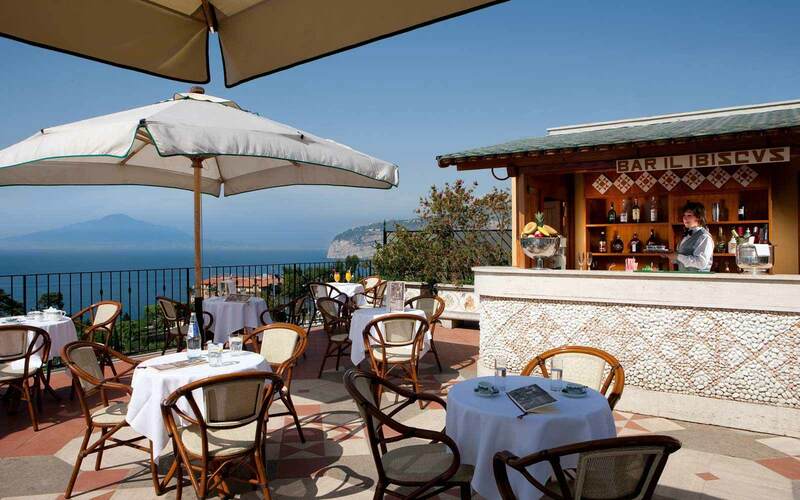 The two restaurants onsite, L’Altea and La Camelia (open for breakfast, lunch and dinner), delight guests with a variety of dishes promoting only the freshest of local ingredients, skilfully and deliciously put together for a most delightful Italian culinary experience. 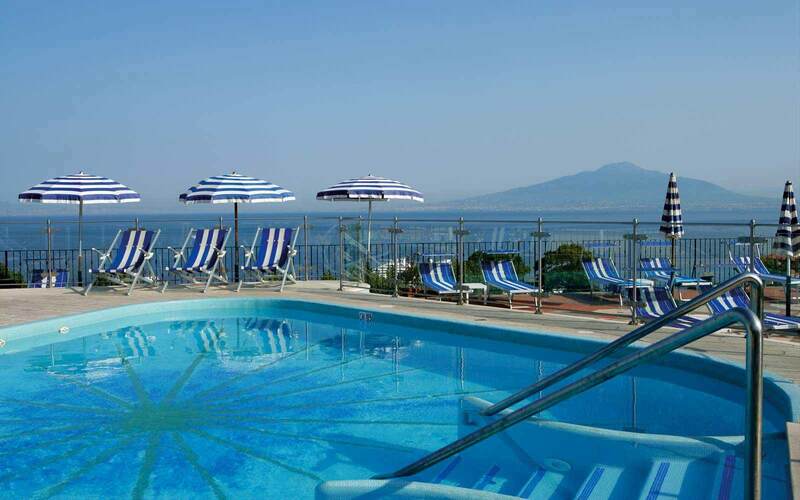 To cool down during the pleasantly warm summers around the Neapolitan Riviera, the hotel offers the use of two pools (from May to October), one hidden away in the courtyard, surrounded by lush vegetation for more privacy whereas the second pool, smaller, sits on the rooftop terrace, with scenic views over the bay. 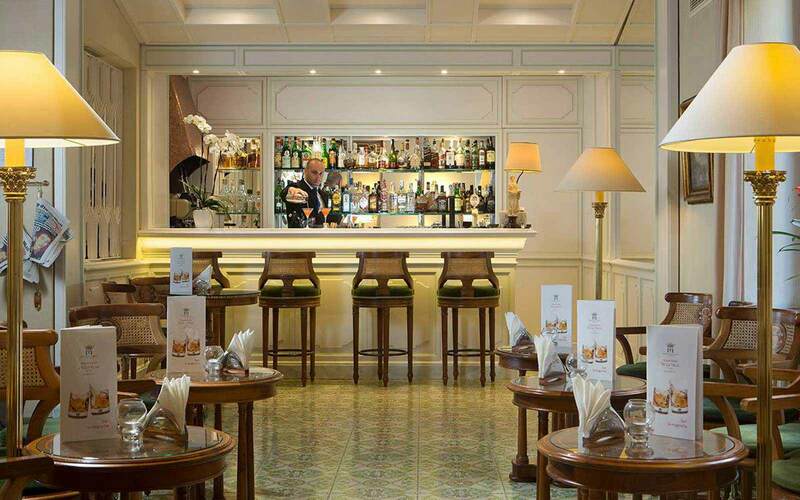 Refreshments can be enjoyed from the Ibiscus bar. 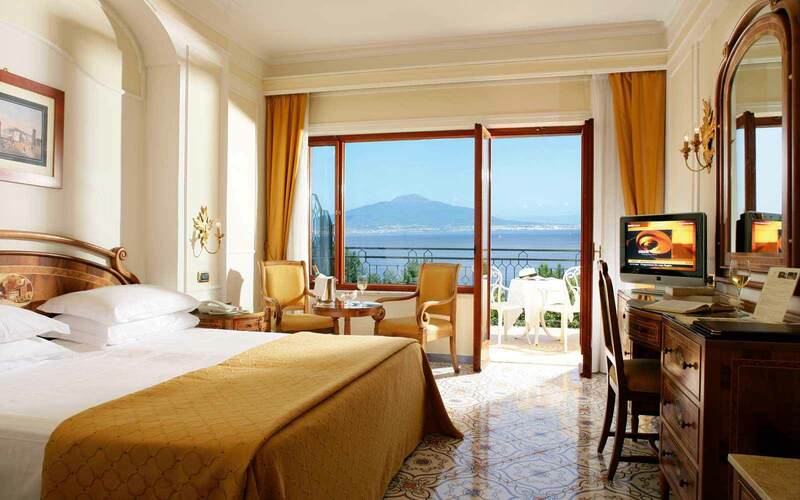 All 120 guest rooms feature traditional Vietri tiling along with inlaid wood furniture created by local craftsmen. 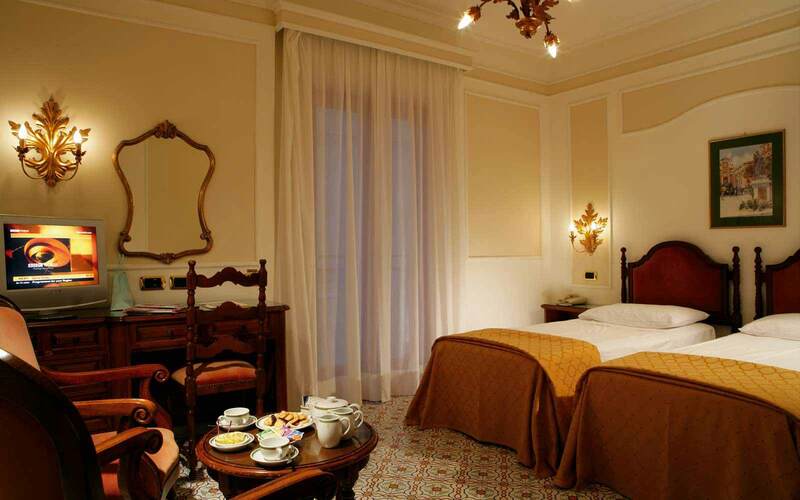 Each room includes air-conditioning, satellite TV, mini bar, free wifi, safe, bathroom with bath tub and a balcony. 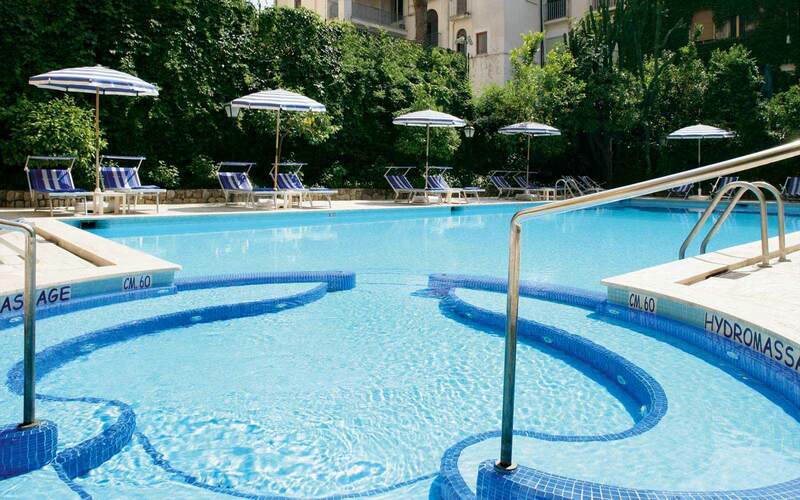 All of them can accommodate up to 4 adults.